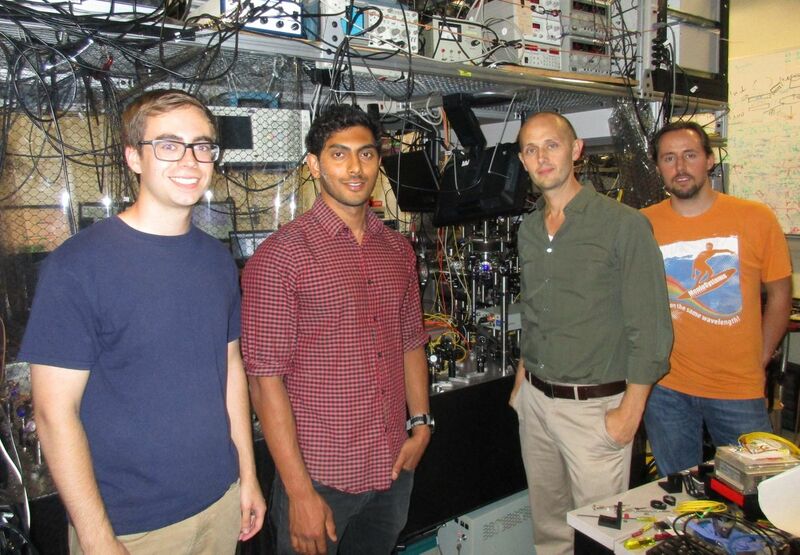 By working in extremely controlled conditions, Eric Hudson and his colleagues could observe properties of atoms and molecules that have previously been hidden from view. UCLA physicists have pioneered a method for creating a unique new molecule that could eventually have applications in medicine, food science and other fields. Their research, which also shows how chemical reactions can be studied on a microscopic scale using tools of physics, is reported in the journal Science. But the molecule created by UCLA professor Eric Hudson and colleagues violates that rule. Barium-oxygen-calcium, or BaOCa+, is the first molecule ever observed by scientists that is composed of an oxygen atom bonded to two different metal atoms. 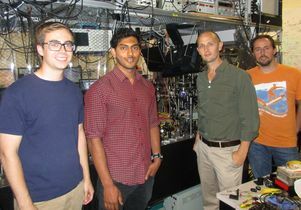 Other molecules that violate the octet rule have been observed before, but the UCLA study is among the first to observe such a molecule using tools from physics — namely lasers, ion traps and ultra-cold atom traps. Hudson’s laboratory used laser light to cool tiny amounts of the reactant atoms and molecules to an extremely low temperature — one one-thousandth of a degree above absolute zero — and then levitate them in a space smaller than the width of a human hair, inside of a vacuum chamber. Under these highly controlled conditions, the scientists could observe properties of the atoms and molecules that are otherwise hidden from view, and the “physics tools” they used enabled them to hold a sample of atoms and observe chemical reactions one molecule at a time. The approach is part of a new physics-inspired subfield of chemistry that uses the tools of ultra-cold physics, such as lasers and electromagnetism, to observe and control how and when single-particle reactions occur. 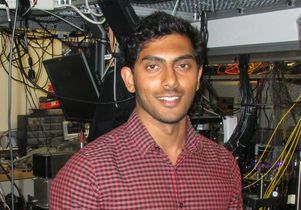 UCLA graduate student Prateek Puri, the project’s lead researcher, said the experiment demonstrates not only how these techniques can be used to create exotic molecules, but also how they can be used to engineer important reactions. 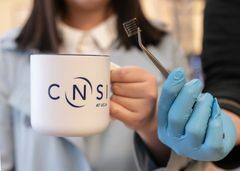 The discovery could ultimately be used to create new methods for preserving food (by preventing unwanted chemical reactions between food and the environment) or developing safer medications (by eliminating the chemical reactions that cause negative side effects). 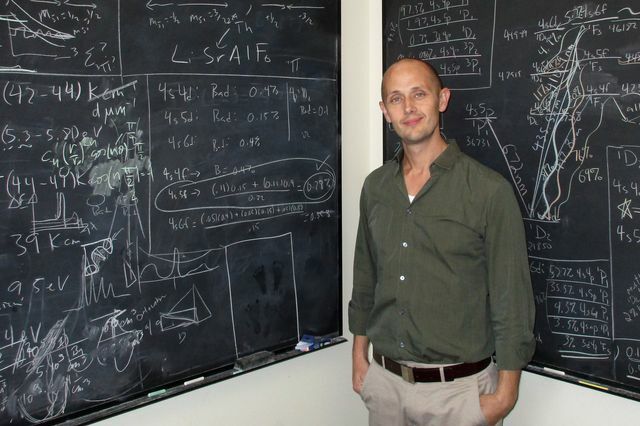 Hudson said he hopes the work will encourage other scientists to further narrow the gap between physics and chemistry, and to demonstrate that increasingly complex molecules can be studied and controlled. He added that one key to the success of the new study was the involvement of experts from various fields: experimental physicists, theoretical physicists and a physical chemist. 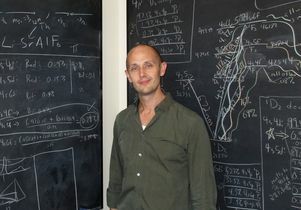 Co-authors of the study are Christian Schneider, a UCLA research scientist; Ionel Simbotin, a University of Connecticut physics postdoctoral scholar; John Montgomery Jr., a University of Connecticut research professor of physics; Robin Côté, a University of Connecticut professor of physics; and Arthur Suits, a University of Missouri professor of chemistry. 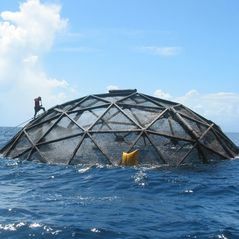 The research was funded by the National Science Foundation and Army Research Office.